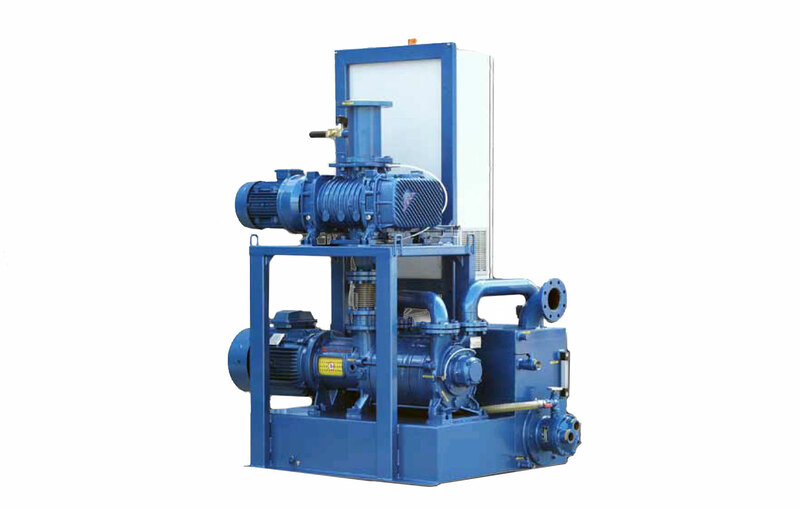 Liquid Ring Vacuum Pumps and Compressors with capacity up to 10 to 3500 m3/h. Maximum Vacuum of 33mbar. Hydrotwin is the new series of compact high vacuum packages that guarantee a working vacuum level up to 5 mbar (absolute) and capacities up to 2500 m3/h. Package has been developed in close co-operation with Bora Blowers who specialises in manufacturing pressure and vacuum boosters. A sophisticated electronic control for booster operations has been developed to prevent risks of booster seizure in the event that operating conditions exceed allowable working parameters. 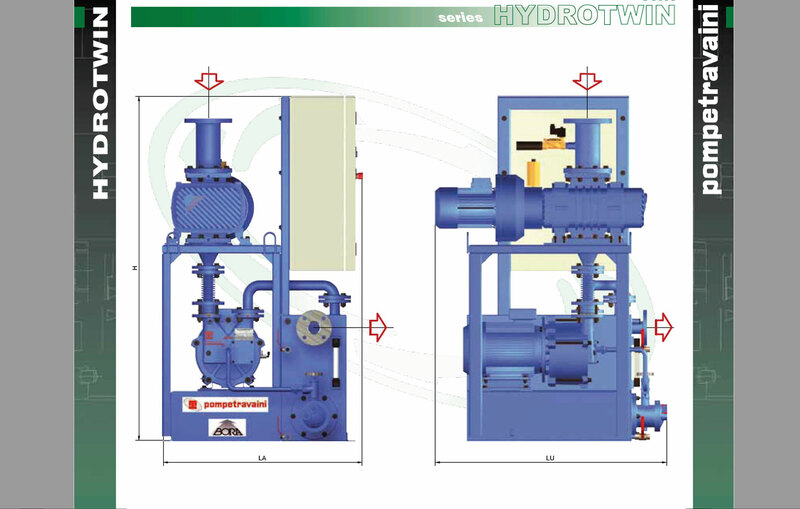 The Hydrotwin range combines Roots blowers with any liquid ring vacuum pump of Pompetravaini range, specifically the TRV, TRM and TRH series in consideration of working parameters requested. Using oil as sealing fluid, it is possible to pull vacuum beyond 2 mbar (absolute).